Understanding How to Keep the Sabbath Holy! The Fourth Commandment! Here Jesus calls the Jews hypocrites because of their Sabbath rules. You can clearly see that giving your farm animal some water was a good thing that was acceptable in the eyes of God even if this could be considered to be work by many people. So is doing Good a job or work? Not according to God! Jesus clearly calls religious people who think their external rules are the solution for keeping God’s law hypocrites. Yet people in some churches today still have this same attitude. So the Jews were consumed by trying to obey the letter of the law and they failed to recognize the one that gave them the law was standing before them speaking to them. So what was Jesus’ response to this question? You see the Pharisees saw the disciples of Jesus going through a corn field and picking ears of corn to eat and according to the Jewish rules this was a violation of the Law of Moses. Anyone can clearly see that this is obviously a laborious task to pick corn in a field. I do not know if you can read sarcasm or not, but that was a sarcastic remark I just made. Of course it wasn’t really work it was just their idea of what the Law of Moses said. To the disciples they were hungry and saw food and went and got it. It is really not that complicated and Jesus told them, “Didn’t you read what David did”? Luk 6:4 How he went into the house of God, and did take and eat the shewbread, and gave also to them that were with him; which it is not lawful to eat but for the priests alone? Jesus looking at the Pharisees told them that David violated the law and entered into the temple to eat that which was reserved for only the priests of God and David also gave to the others that were with him. It is funny that God, who was standing before them, did not strike David dead for violating this law, did He? Normally, if even a priest entered into a Holy place with sin they fell down dead and had to be dragged out with a rope that was tied around their ankle. So obviously God’s view of things is different than man’s view of things, aren’t they? So God’s point is that He is the one that gave the law of the Sabbath, He is still Lord of the Sabbath and only He determines what is acceptable to do and not you. In other words you are not God so do not pretend to be God and make rules up that define what is acceptable on a Sabbath and what is not acceptable on a Sabbath. This is what got the Jews in the major hot water that they were in and we have some Christians in the world today trying to do the same. Here is the other side to the problem of trying to keep the Sabbath Holy today as a Christian. God says in the Bible that “NO FLESH shall be justified by keeping the LAW” (Acts 13:39). If keeping the Sabbath Holy is the fourth commandment and it is impossible for any man to be justified by keeping it then what are we to do as Christians? That is a really good question. I believe that we should be doing what Jesus did. If Jesus did anything on the Sabbath, we should be doing the exact same things. Jesus spent a lot of time going about teaching and preaching the Word of God and healing those that were oppressed of the devil. According to the Bible this was God doing Good in our world (Acts 10:38)! So doing GOOD is what the church should be doing on the Sabbath and every other day of the week. So everywhere you go and in everything that you do it should be in making an effort to do good for someone that needs good to be done to them or for them in the world. This is what I believe the Bible teaches us about the keeping of the Sabbath. I’ll give you an example, one day I was walking through a mall with my uncle and my son. We came upon a little boy that was crying alone in the middle of the mall. We could have kept walking but I decided to stop and asked him what the matter was. It seems that the child had gotten lost from his mother and was scared because he couldn’t find her. So I called to the nearest store clerk and asked them to call mall security to help find the mother. The young child was eventually reunited and there was a happy ending. So what if I had not decided to do this good deed? I could have hoped that someone else would have come along and done it. Or a bad man could have potentially come along and taken advantage of the situation and this child could have never been heard from again. So what would you have done? What is your definition of doing good? Jesus gave us an example of doing good in the story of the Good Samaritan. You can see in this story that some passed by the wounded man that was hurt and kept going. Those that passed by were a “Priest” and a “Levite” two religious zealots who would not be willing to lift a finger on the Sabbath to help even a hurt man. But, Jesus said the Samaritan came by and helped this man and made an concerted effort to do something good for him. Jesus praised the Samaritan and put down the priest and Levite. Who was justified in the eyes of God that day? It certainly was not the Jewish religious leaders? Today we have many people in churches trying to do what the Jewish religious leaders did and they are looking for ways to accuse other Christians of violating their Sabbath rules. However, the Bible says “I am Holy so you be Holy” (1 Peter 1:16). So observe what Holy God does on the Sabbath and then do likewise. Be led by the Spirit of God to do good and you will see that God may praise you someday as being a Good Samaritan also. If you disagree you should take it up with God and not me, for I did not write the Bible. God Bless! Posted on October 14, 2010, in Bible Study, Law, Understanding and tagged Bible, Christianity, Church, God, Interpretation, Jesus, Law, Prophecy, Religion, Sabbath, Truth, understanding. Bookmark the permalink. 9 Comments. There are many great post here but I felt led to give my two cents worth also. Yes, God did create the sabbath in Genesis and man was told to keep it, that it was holy. The sabbath has always been and will always be a day of rest. Jesus said in Matt. 11:28 “Come unto me , all ye that labor and are heavy laden, and I will give you rest”. The sabbath, as everything in the Old Testament, pointed to Jesus. He is our sabbath or our rest. Therefore, every day is a sabbath if you are in Christ. Every day, we are to do good unto our fellow man and keep every day holy unto God and ask him to lead and direct us in our daily walk for that day. The sabbath then doesn’t become a day so much as a lifestyle. Be blessed in Jesus’ name! Awesome points made here. Thanks for sharing your two cents they are valuable to me. God Bless. I am satisfied. That is very liberating for me. I will attend either one on Saturday or Sunday, whichever I am led to, without allowing anyone to make me feel guilty about the day. I hope my Sabbath Zion Church of God pastor will understand as there is a tendency to teach against Sunday worship. I am soaking myself in your posts, I started with 2009 Archive and I am already at February 2010 archive. Most of the time, I feel the aha effect as I read them. Thank you for sharing. How do I talk to you directly without posting publicly if I have other clarification for myself. I agree with you there is a problem about what constitute the right things to do on the Sabbath – that is How to keep it Holy. Have you addressed in the past or will you address in future which is the “appropriate” day of the week to be dedicated to Worship and the Word. Many do it on Sunday others do it on Saturday. Does the word clarify which one is the appropriate one. I’m not convinced that the Bible says which days is the Sabbath. It would appear that the early church met on Sunday, since it was considered to be first day of the week for the Jews. The Jewish Sabbath day was clearly Saturday. We can see a tie to the church’s Sabbath as being the day that Jesus was resurrected. Yes, in terms of Sunday, Monday, Tuesday to Saturday, the Bible does not use that terminology. It does talk about first day, second day upto seventh day, though. 1. Genesis 2:2 And on the seventh day God ended his work which he had made; and he rested on the seventh day from all his work which he had made. 2. Exodus 16:26 Six days ye shall gather it; but on the seventh day, which is the sabbath, in it there shall be none. 3. Mathew 28:1 In the end of the sabbath, as it began to dawn toward the first day of the week, came Mary Magdalene and the other Mary to see the sepulchre. 4. Isaiah 66:23 And it shall come to pass, that from one new moon to another, and from one sabbath to another, shall all flesh come to worship before me, saith the LORD. 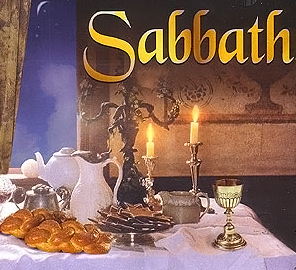 From these and other scriptures, I can determine the seventh day that God blessed is the Sabbath day (Ex 16:26). The day after the Sabbath day is the first day. Jesus and apostles taught on the Sabbath day. It would seem that to honour the resurrection (on the first day), we were given baptism and not that we will use the first day for worship. I personally fellowship on Saturday, even though I visit now and then churches that fellowship on Sunday because my church is in another province. I feel strongly about Sabbath worship as I can find it practicsed in the Bible, but I sometimes wonder whether God really minds as I have seen and met excellent saints who worship on Sunday. I pray God will reveal very clearly what He wills/says. Thanks. Thanks for taking the time to post a reply. I understand what you said. I think sometimes there are people who are too focused in on trying to obey the letter of a written law like this will make them right with God. However, God desires hearts that are sensitive to His leading. The Bible says “Those who are led by the Spirit of God, they are the sons of God”. So it would appear that being led by God is more important than being in church on Saturday or Sunday. God might lead you to do something totally unique to be a blessing to someone who needs to be blessed who can’t come to church. So this is what I think the Bible means about Jesus saying He was the Lord of the Sabbath. God Bless! Thank you Ron for sharing. These Days you are writting a lot, i could not keep up i still have more post to read and possibly comment. You seem to know more about the Bible than you like to admit. I appreciate your good comments. God Bless!